A new aesthetic calls for new forms: such is the challenge the composer set for himself in the two works presented here. 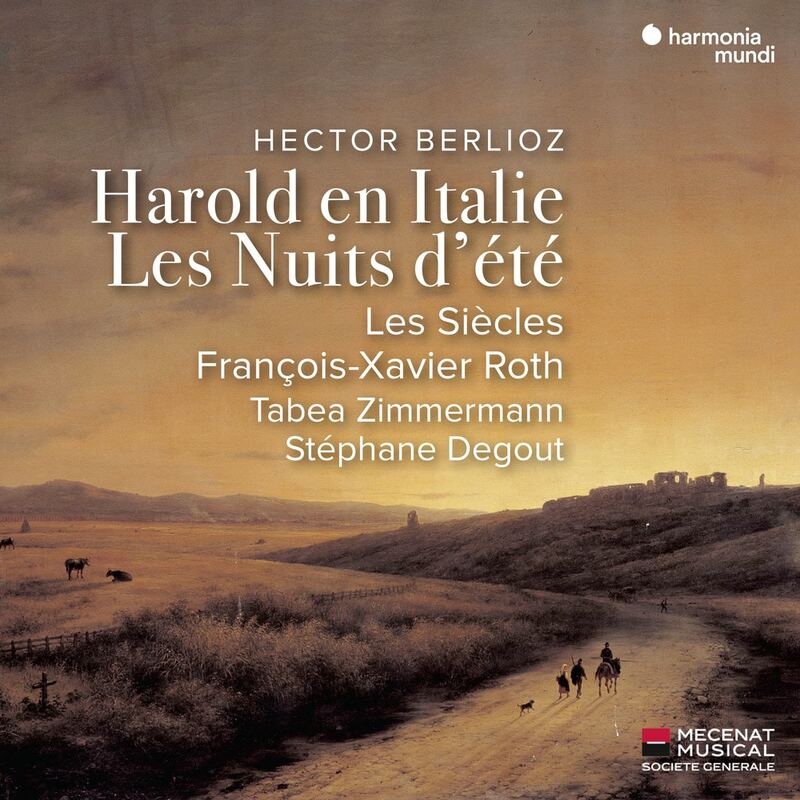 In Les Nuits d'été, Berlioz pioneered, well before Mahler and Ravel, a song cycle for voice and orchestra. In Harold in Italy, scored for large orchestra and solo viola, he experimented with the symphonic genre. These period-instrument performances by Les Siècles, led by François-Xavier Roth, with violist Tabea Zimmermann, also feature Stéphane Degout in the vocal cycle, heard here in the composer's own version for baritone. File under: out of the ordinary.